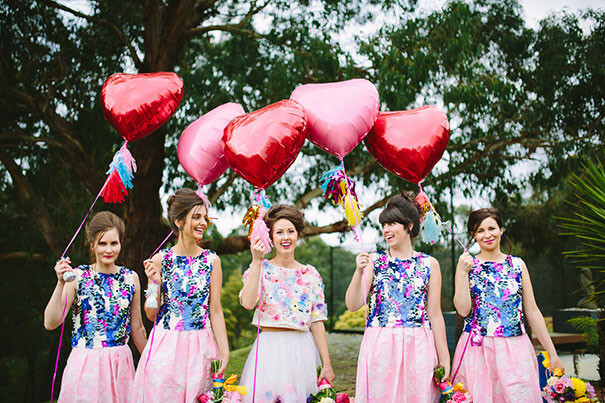 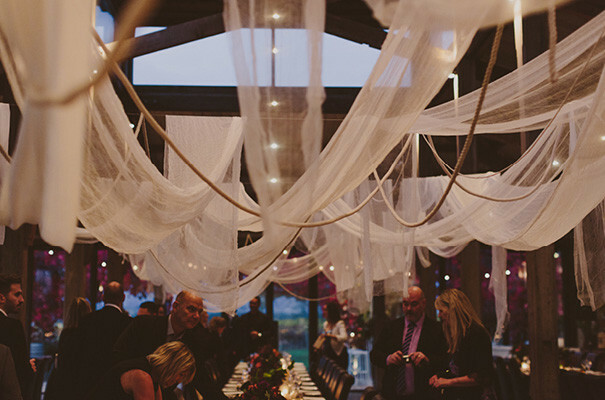 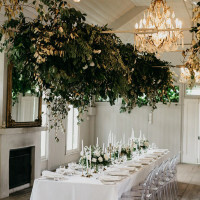 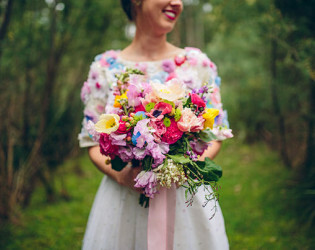 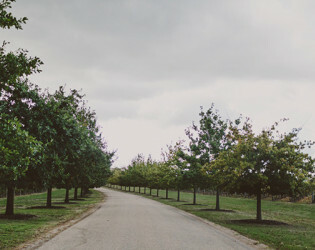 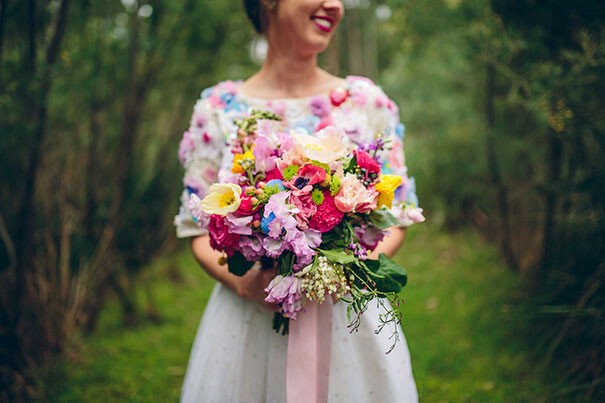 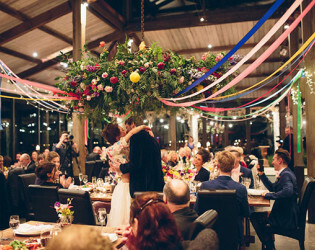 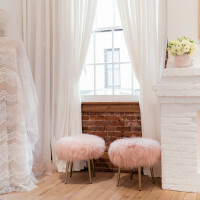 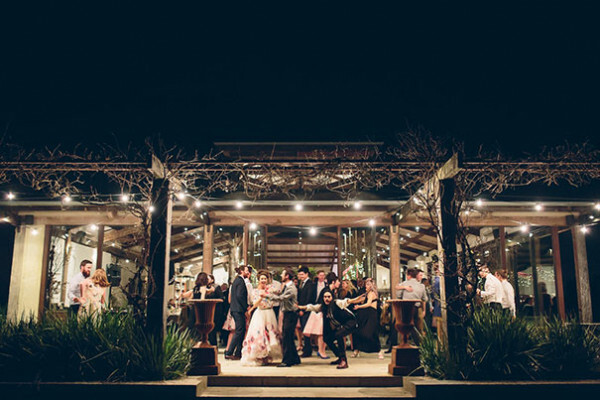 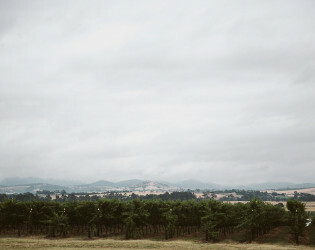 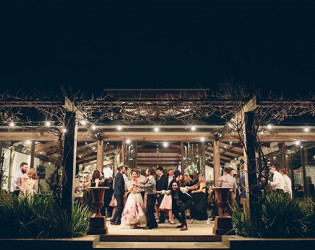 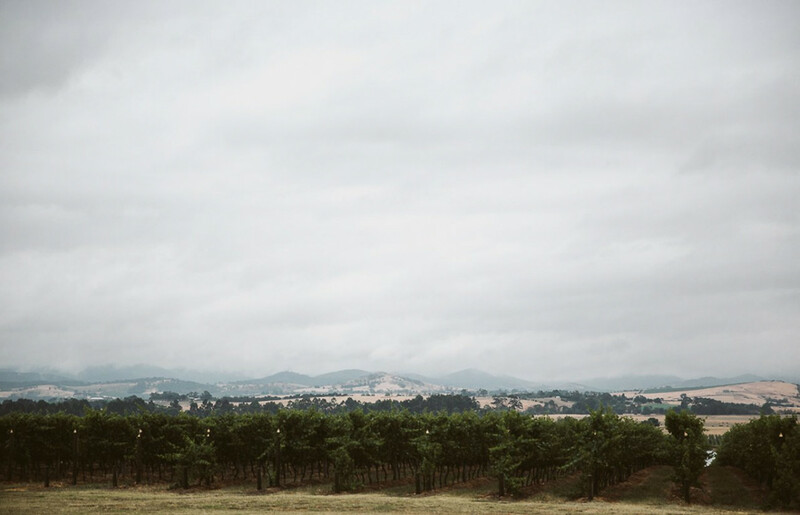 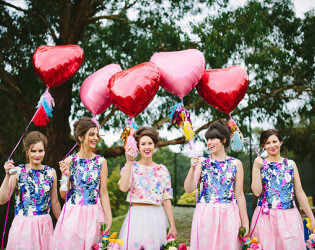 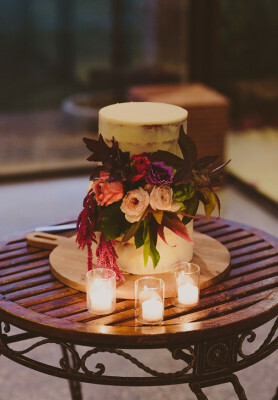 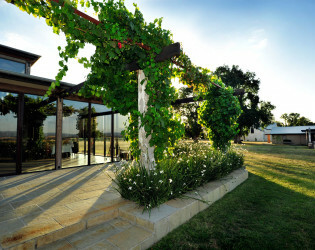 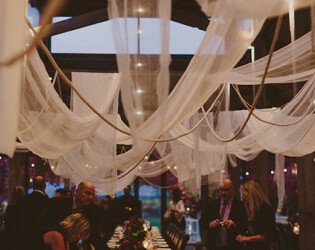 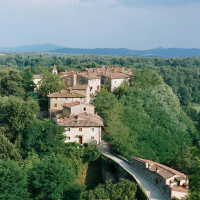 Event Design: The Style Co.
A daydream and a half, this epic stretch of land in the Yarra Valley is ideal for weddings. 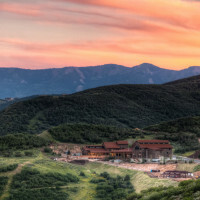 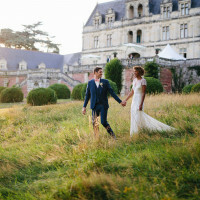 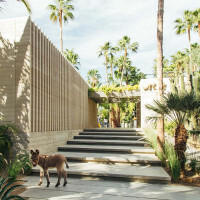 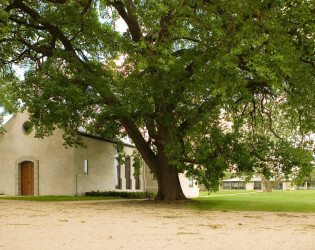 Chapel, barn, and stables—each with impressive architecture—connect by way of European-inspired paths that wind across acres of manicured lawn. 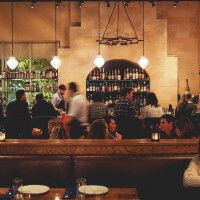 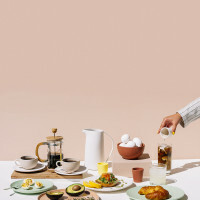 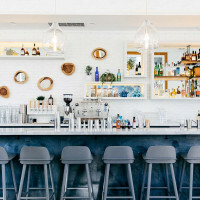 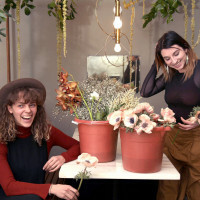 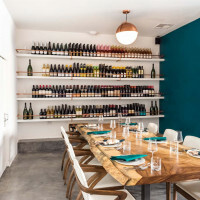 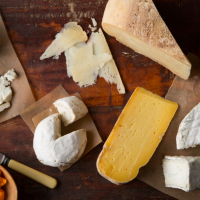 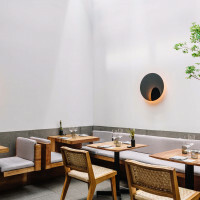 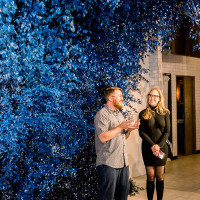 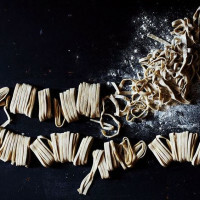 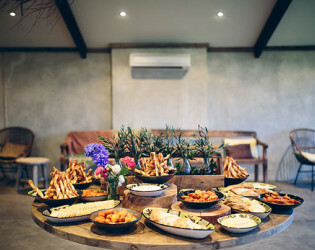 Rising from the rustic, weather-beaten remnants of a barn left idle for generations, Stones of the Yarra Valley has emerged as the region’s premiere food and wine destination. 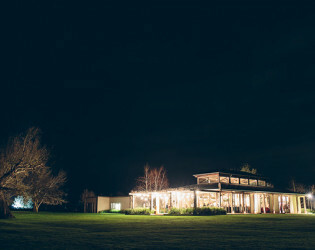 With uninterrupted views across vines to the blue-tinged Great Divide Range, Stones of the Yarra Valley is located on one of the most picturesque and historic properties in the Yarra Valley, combining two superb restaurants – The Barn and The Stables at Stones – with a stunning rough-rendered Chapel and Dairy nestled under century-old oak trees. The Farmhouse at Meletos is our sister property located directly next door to Stones of the Yarra Valley and offers 23 superb rooms. 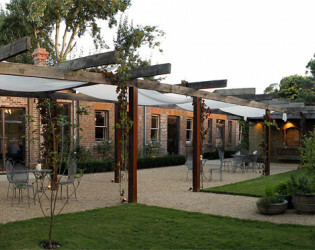 The Barn is Stones of the Yarra Valley’s superb main dining room. 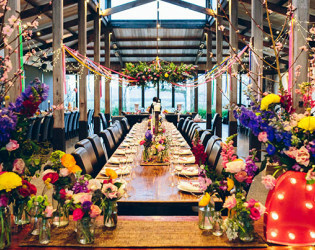 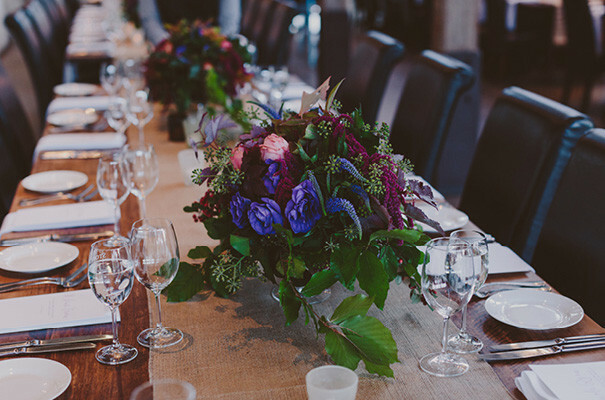 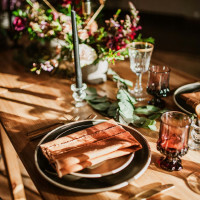 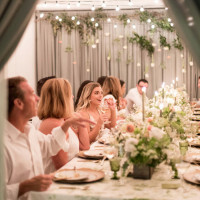 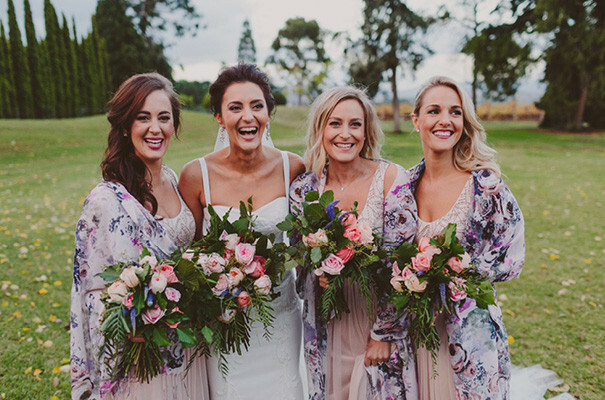 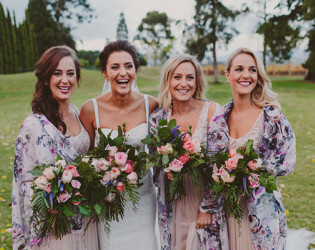 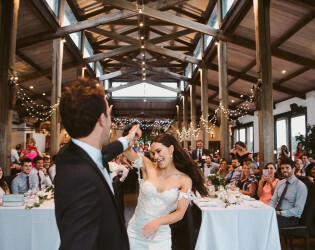 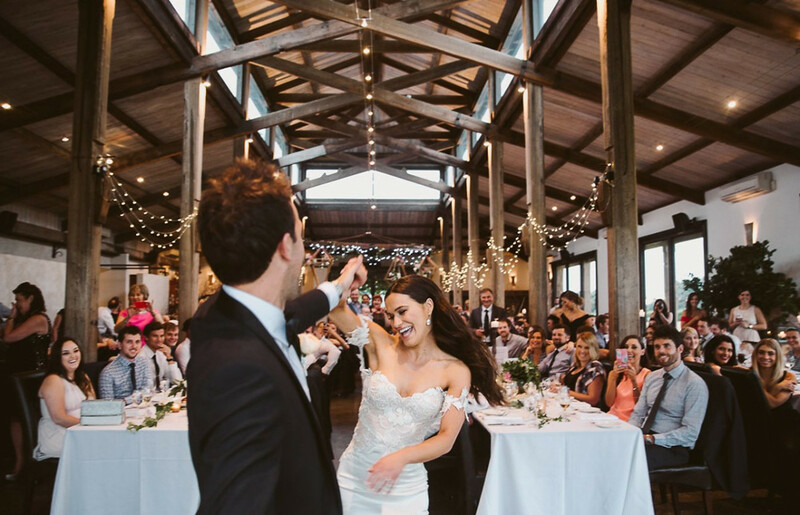 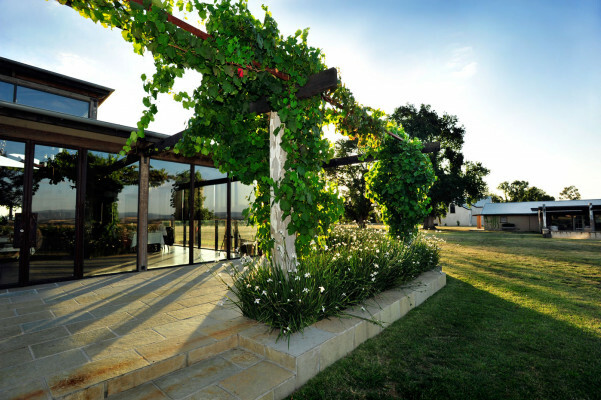 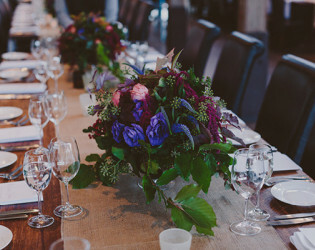 With floor-to-ceiling views over 200 acres of vineyards to the Great Dividing Range, The Barn at Stones is one of the Yarra Valley’s most popular destinations for relaxed weekend lunches, wedding celebrations and superb private events. 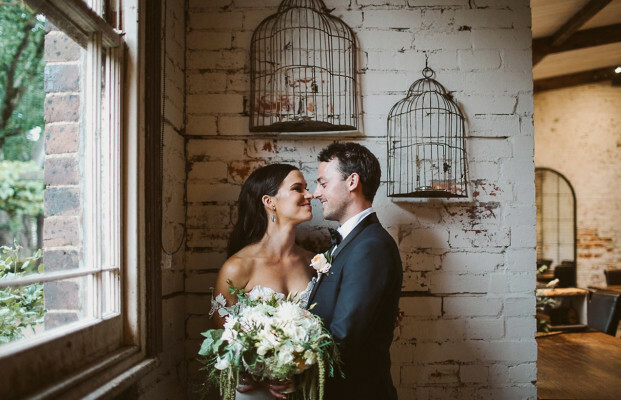 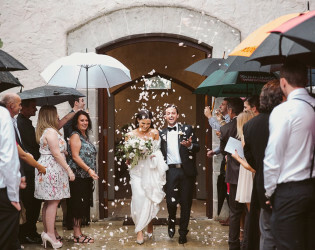 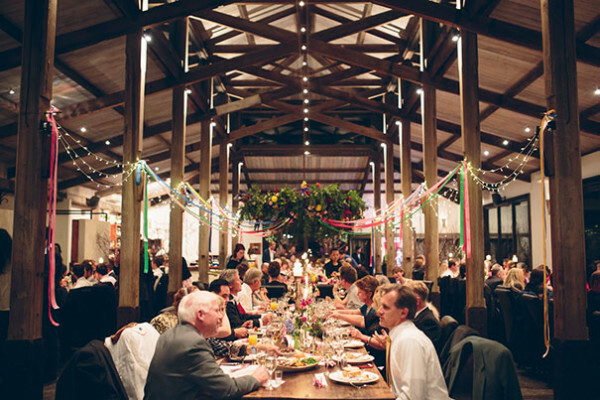 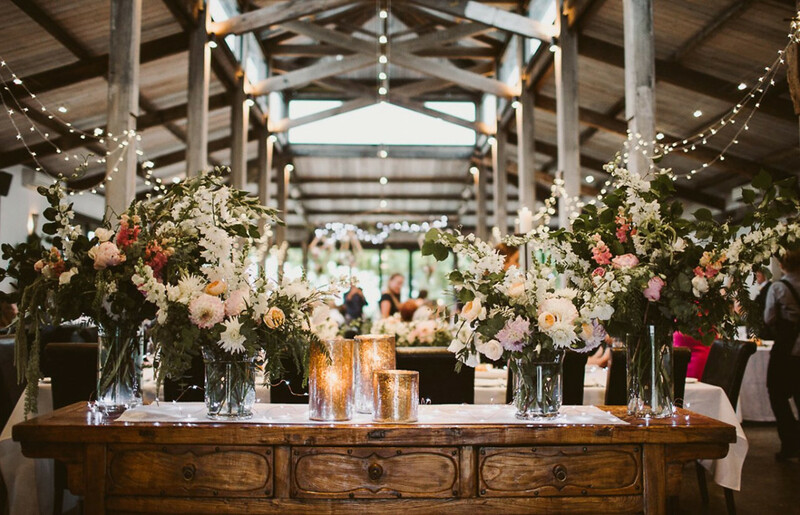 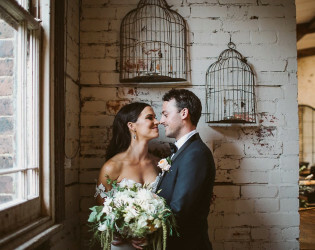 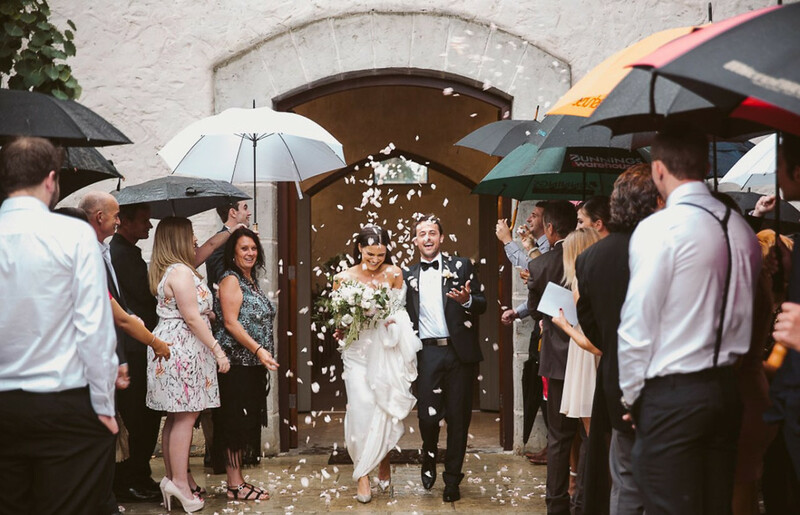 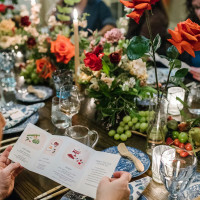 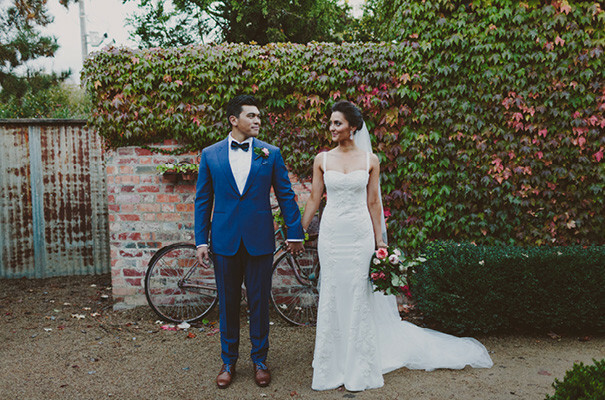 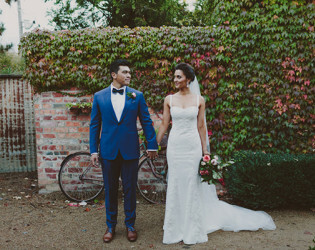 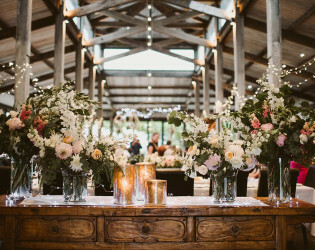 With it’s vintage fittings, rough-hewn timbers and century-old brickwork, The Stables at Stones is one of the Yarra Valley’s iconic heritage venues for 40 to 63 guests. 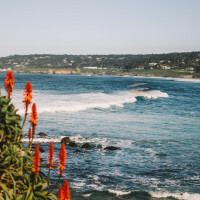 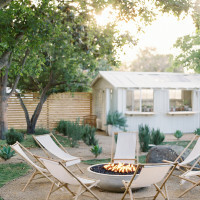 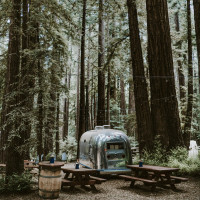 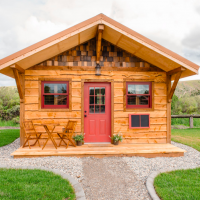 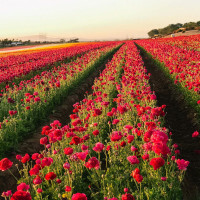 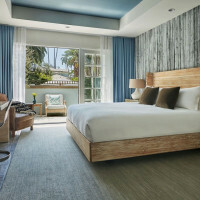 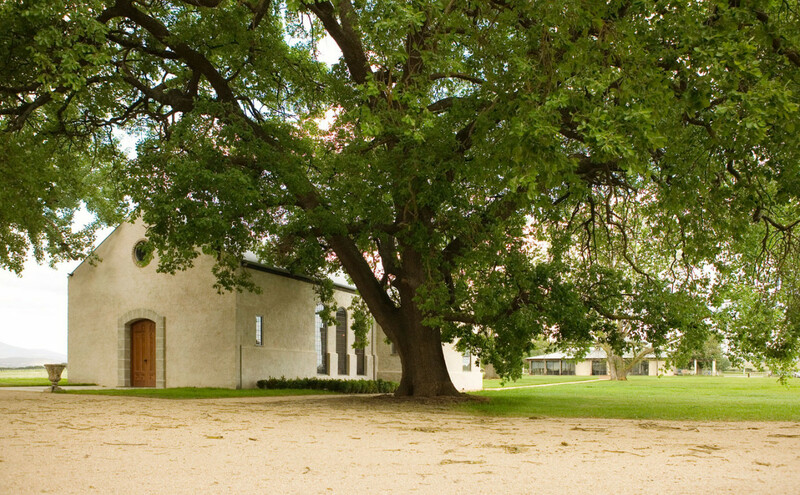 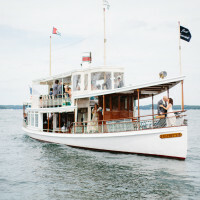 Dating back to 1868, the historic Stables at Stones were originally used by the stable hands of St. Huberts winery as sleeping quarters and blacksmith rooms catering for the large number of horses stabled on the site. 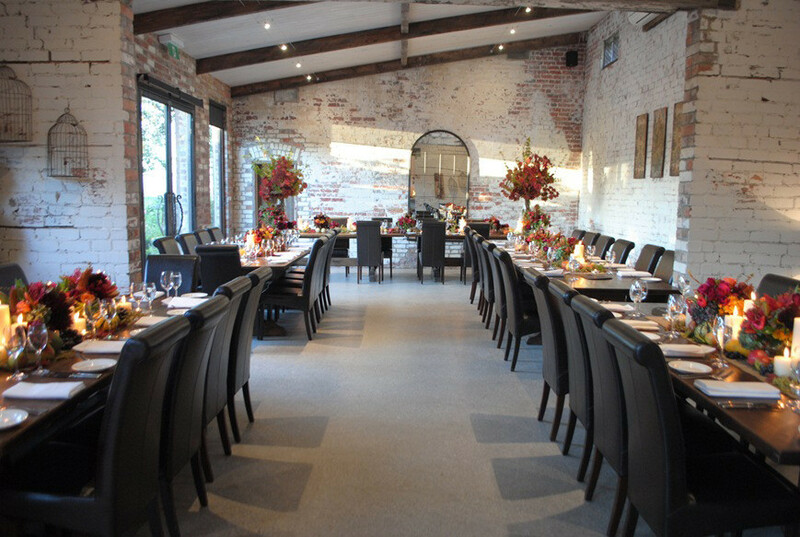 Over 145 years have passed since those early days, and following a superb conversion The Stables at Stones have re-opened. 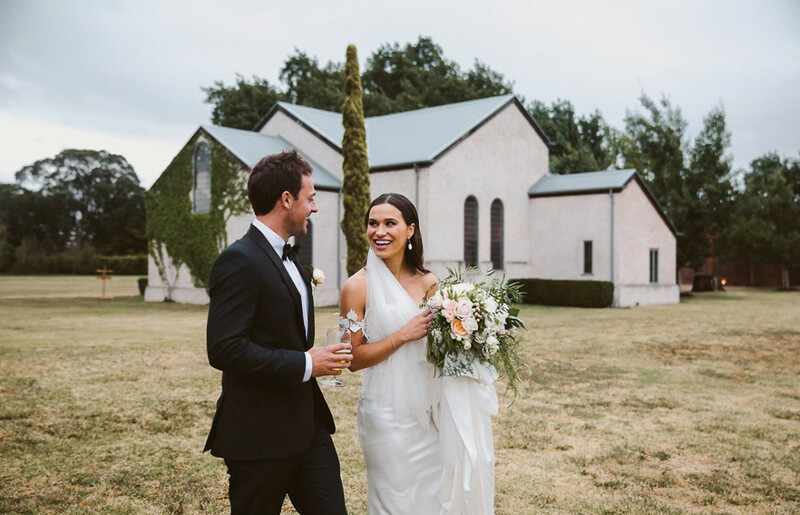 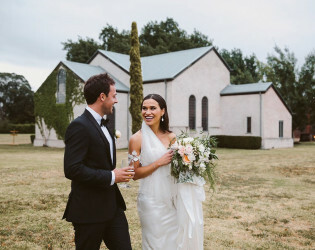 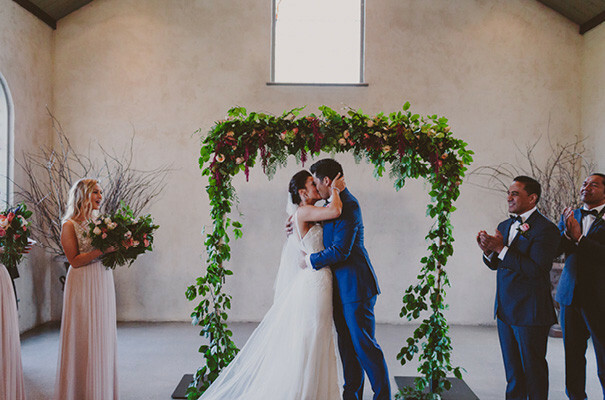 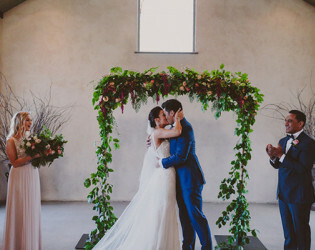 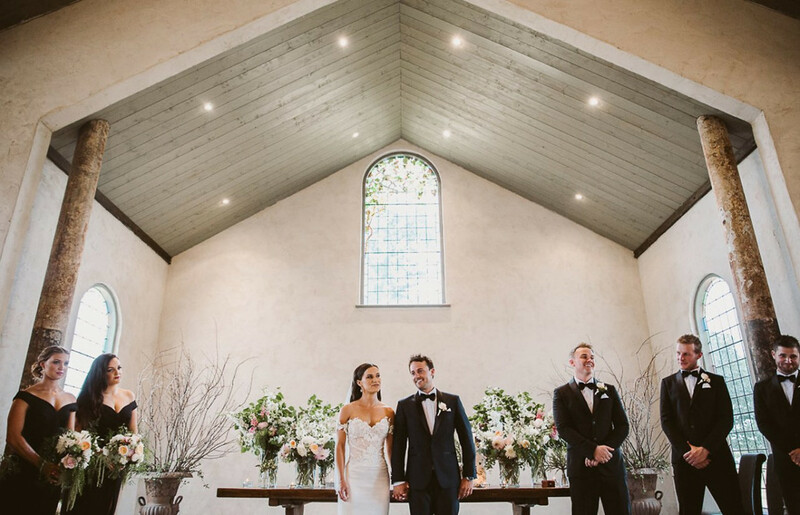 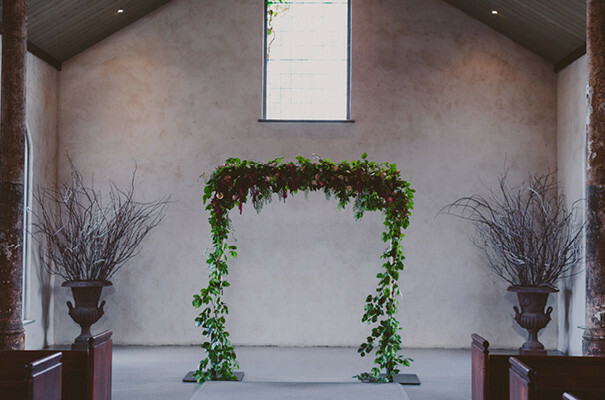 Soaring ceilings, stained-glass windows and sweeping views across acres of vines, the Stones of the Yarra Valley Chapel is truly one of a kind. 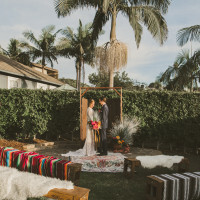 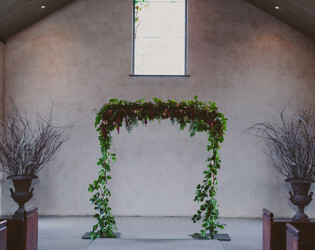 With seating on hand-crafted timber pews under a rustic chandelier, the Stones Chapel encompasses all of the romance, elegance and solitude of a rural place-of-worship. Soaring ceilings, stained-glass windows and sweeping views across acres of vines, the Stones of the Yarra Valley Chapel is truly one of a kind. 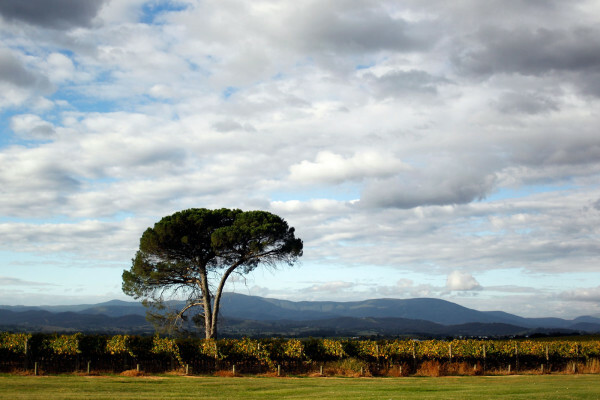 With uninterrupted views across vines to the blue-tinged Great Divide Range, Stones of the Yarra Valley is located on one of the most picturesque and historic properties in the Yarra Valley. 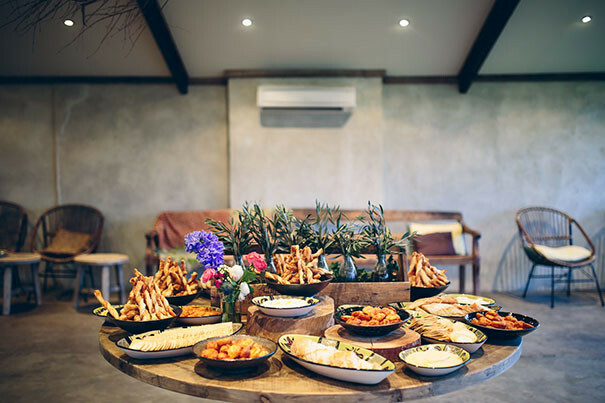 The Barn at Stones is one of the Yarra Valley’s most popular destinations for relaxed weekend lunches, wedding celebrations and superb private events. 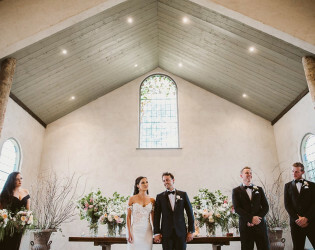 Ceremony in the chapel with church pews and high ceilings. 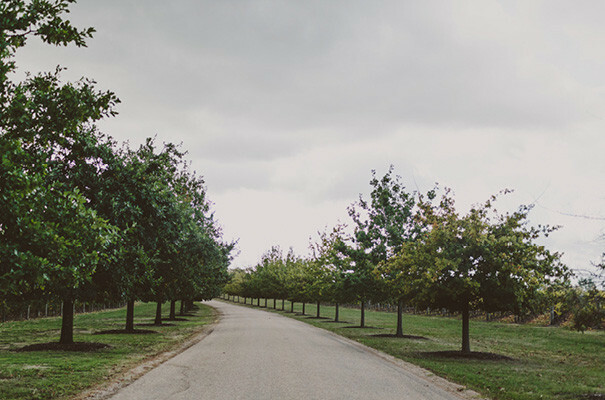 Beautiful driveway to the venue. 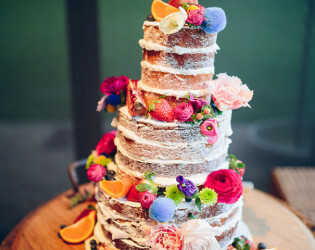 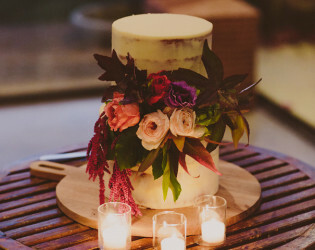 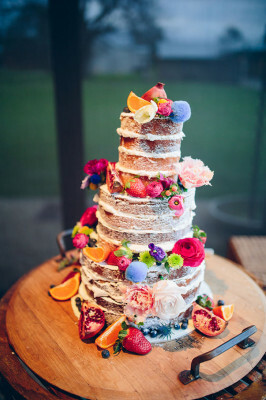 Wedding cake adorned with flowers. 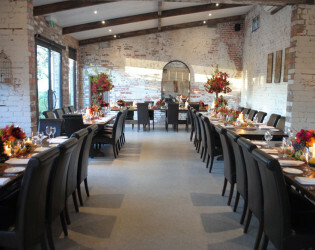 The Barn is Stones of the Yarra Valley’s superb main dining room. 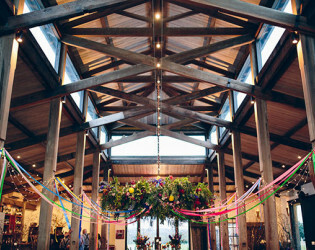 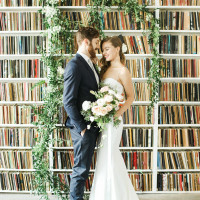 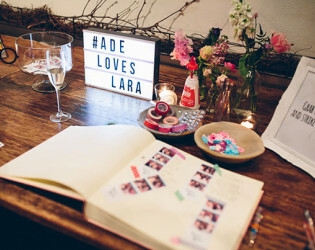 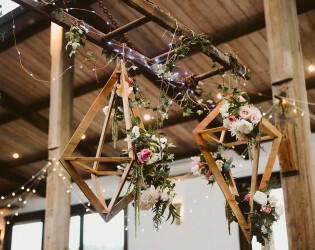 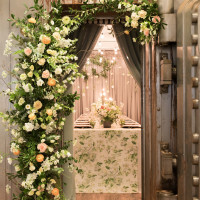 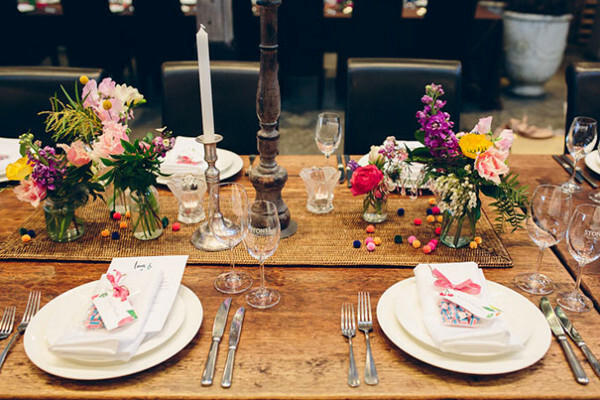 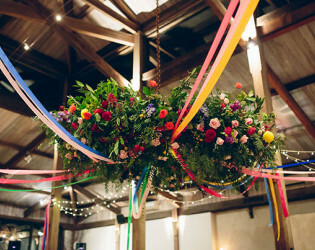 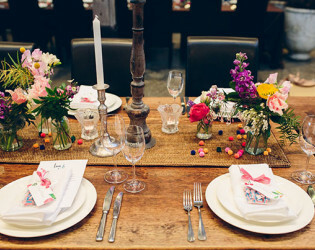 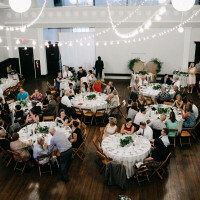 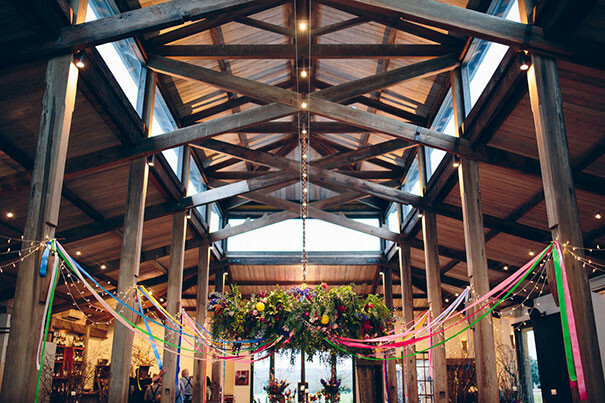 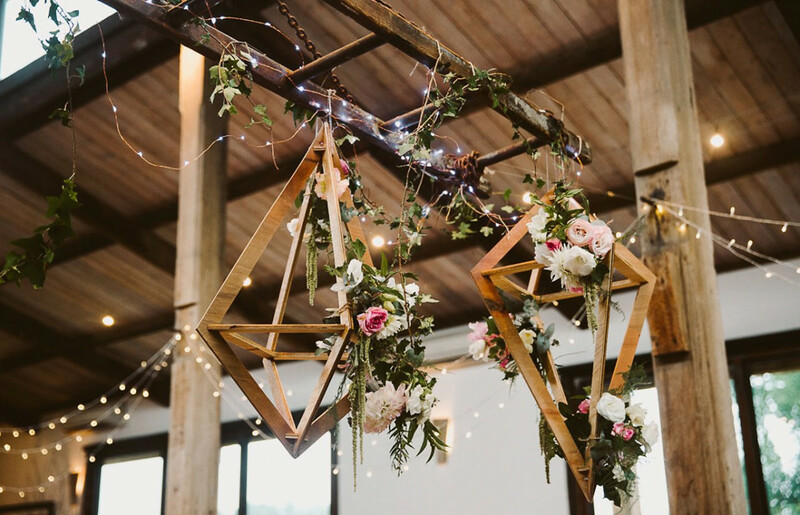 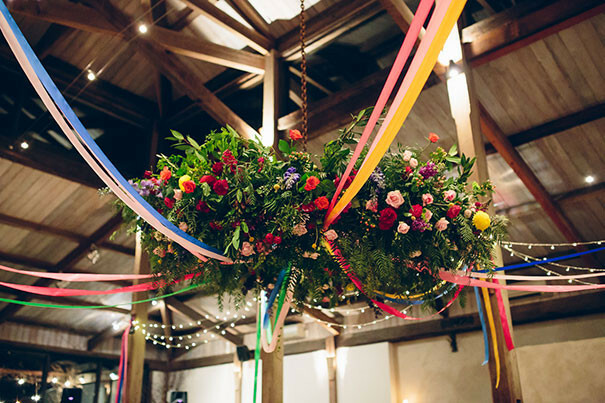 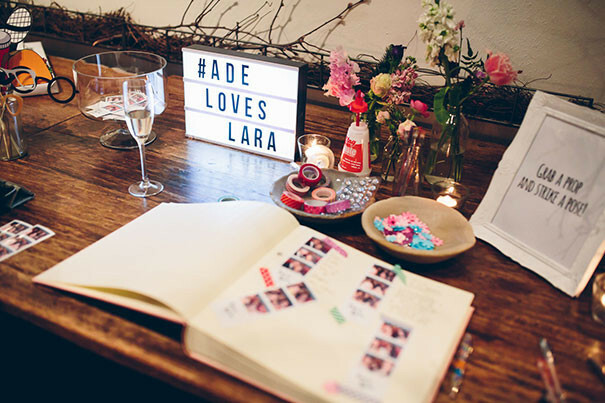 Dress up the barn to reflect your personality on your wedding day. 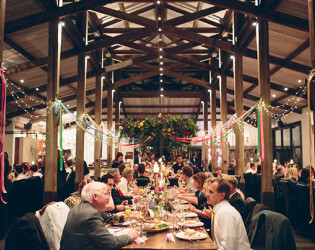 Barn dining at its best! 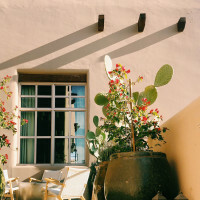 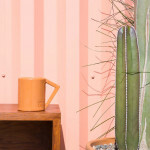 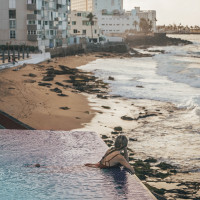 Enjoy some fresh air out on the patio. 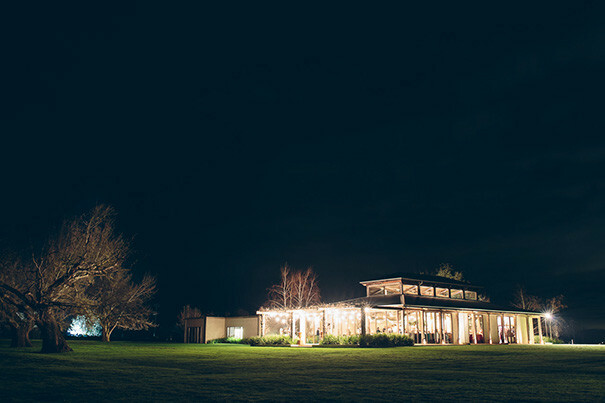 Dating back to 1868, the historic Stables at Stones were originally used by the stable hands of St. Huberts winery as sleeping quarters and blacksmith rooms catering for the large number of horses stabled on the site. With it’s vintage fittings, rough-hewn timbers and century-old brickwork, The Stables at Stones is one of the Yarra Valley’s iconic heritage venues for 40 to 63 guests. 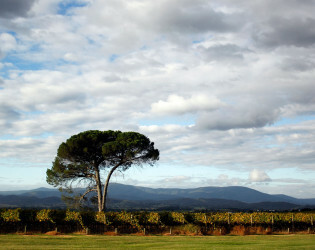 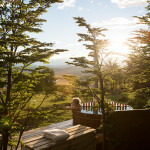 The superb view at Stones of the Yarra Valley. 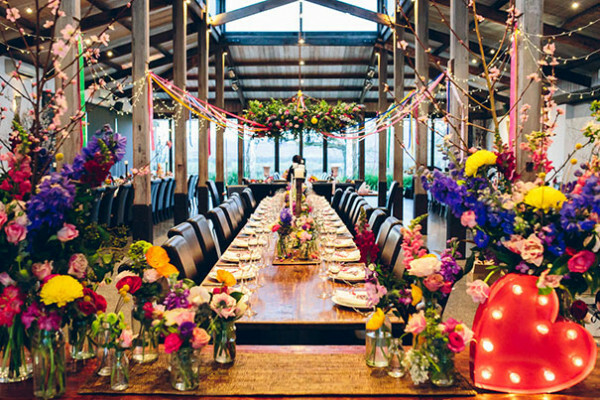 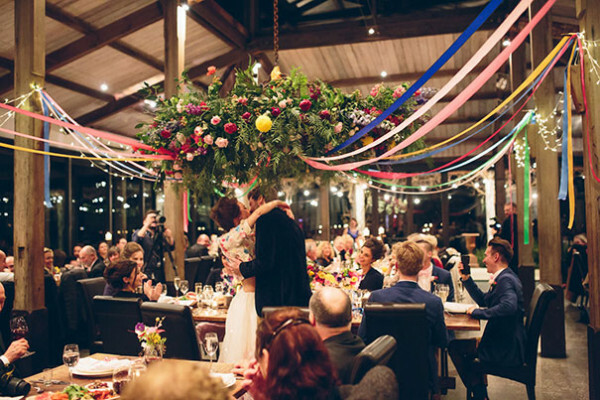 With floor-to-ceiling views over 200 acres of vineyards to the Great Dividing Range, The Barn at Stones is one of the Yarra Valley’s most popular destinations for relaxed weekend lunches, wedding celebrations and superb private events.